Vetty Officer's Weblog: Why Bandhs???? Its almost a virtual bandh today, in this part of the globe. Well as usual the people aren't doing this voluntarily. One thing I m not able to understand. When there are so many ways to show one's protest, why are these political parties using the strikes and bandhs to spoil the normal life. For students and blue collar professionals, this is just another holiday (that too a 4 days pack!!!) The ones below the poverty line are the real sad people. They need to work for each day's bread. 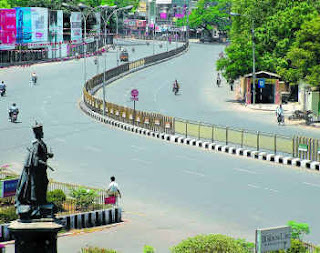 Can some one tell me against whom is this bandh?? Bandha was organized for me... because I had requested the government for a '4 day holiday pack'. Come on, Stop blaming the government for everything!